Q. Dr. Ford, how do local health departments (LHDs) help expectant moms have healthy babies and prevent birth defects? There are several ways LHDs can help prevent birth defects, depending on the services provided. Many LHDs actually offer prenatal care on site, which is an excellent way of ensuring that expectant moms get all the appropriate screenings to provide the best outcomes possible for their babies. LHDs can also partner with agencies such as March of Dimes or United Way to assist them in providing education and outreach to vulnerable populations about ways to prevent birth defects. LHDs can also partner with local media outlets to increase awareness during specific times of the year. For example, January is National Birth Defects Prevention Month, so media campaigns could be developed in collaboration with news, print and social media to improve community awareness. Q. Are some moms more at risk than others? What are the factors? Race, ethnicity, income status? Easy and affordable access to prenatal care? All of these factors contribute to increasing the risk for birth defects, as do certain genetic factors. Nutrition, for example folate deficiency, is also a risk factor, but this could also be the peripheral result of low income and/or decreased access to prenatal care. The effects of poverty put poor people at risk for negative health outcomes in general, and poor pregnant moms are even more vulnerable. Stress (often brought about as a result of poverty) can also play an important role in creating a high risk pregnancy. Q. What are you doing at your health department? In 2005, DeKalb County Board of Health implemented the M.O.R.E. (Mothers Offering Resources and Education) Program to address the infant mortality disparities present in the county. At the time of the program’s inception, the infant mortality rate in one city in the county was 2.6, while in another one less than 30 minutes away, it was 13.5. Over the years, MORE has expanded its scope to include housing and job training for the mothers, and well as training on early language acquisition and developmental screenings. The program has proved so successful that it has become a line item in the County budget, with funding increased from its original amount of $50,000 to its current $250,000. Q. How easy or difficult would it be for other local health departments around the country to replicate your program’s success? According to Public Health 3.0, the responsibility of leaders of local health departments is to be the Chief Health Strategist for a community. In that role, their job is to be the storyteller of a problem in a way that makes others want to be part of the solution. Our County Commis­sioners realized there was a disparity in infant mortality rates in different parts of the county, but it was up to health department leadership to come up with the interventions and tell the story. Once the interventions proved successful, it was up to the commissioners to continue to support it. 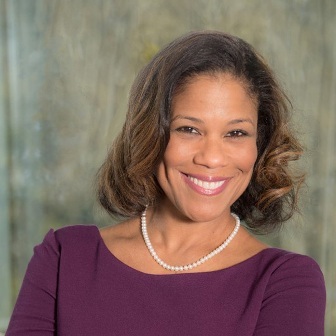 To hear Dr. Ford further discuss the prevention of birth defects and the increased risk to minority women asserting “poverty is the great equalizer as it relates to risk,” please click here to access NACCHO’s podcast. To access NACCHO’s library of podcasts with public health leaders, please go to http://naccho.libsyn.com/.